Give your air-conditioner a thorough run-through with this chemical service by CCC Engineering Works. Avoid hot, sweaty nights with this service that comes with a drain pipe flushing, gas check, filter chemical cleaning, and more. Valid Mon - Sat: 9am – 4pm. Not valid on public holidays. 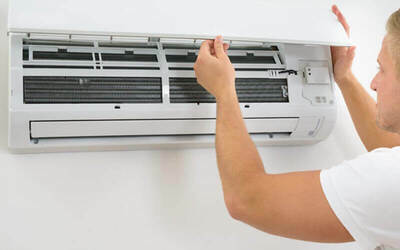 Surcharge of RM50 applicable for R22 gas (non-inverter) refill if volume is more than 20psi, inverter air-conditioner, ceiling cassettes, and exposed ceiling. Surcharge of RM90 applicable for R410 gas (inverter) refill. Not valid for repairs. Replacement of spare parts and repairs are subject to additional charges, call to enquire.